Hollis Johnson/Business InsiderPopeyes is selling wings covered in gold. 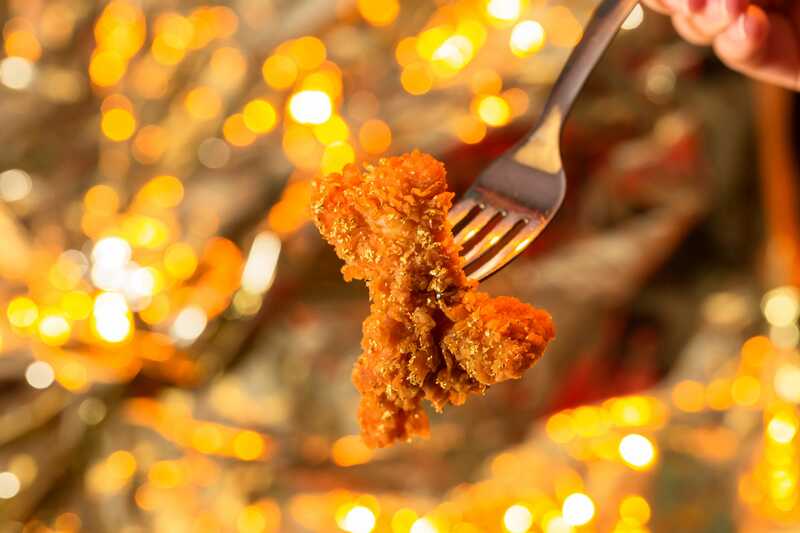 Golden fried chicken is the latest bizarre trend to hit the food industry. 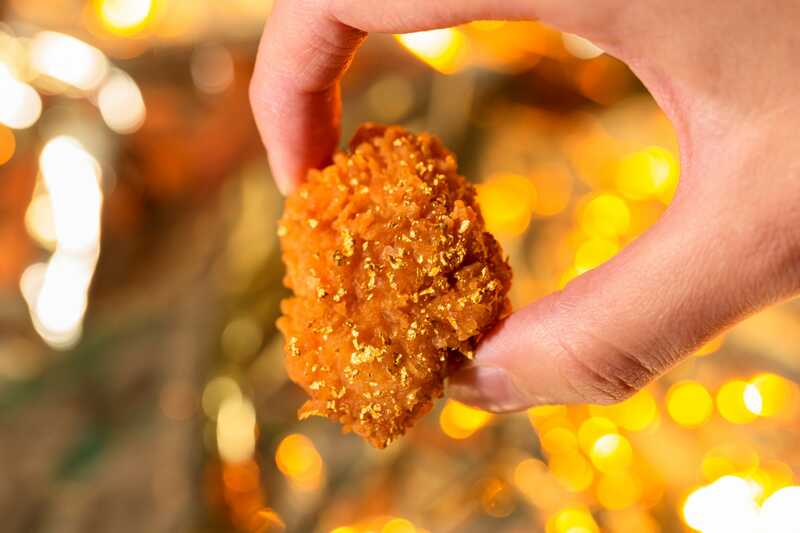 Popeyes is selling fried chicken covered in real 24-karat gold flakes at a handful of locations for one day only, on Thursday. Business Insider taste testers were impressed by the decadent dish – and the fact that it costs just $US5. 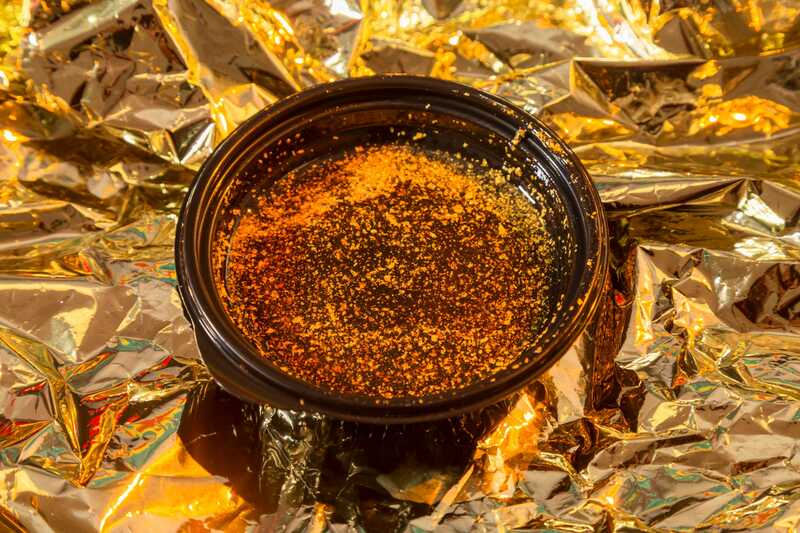 The American food supply has been swamped with a deluge of gold. Golden doughnuts.Golden pizza. 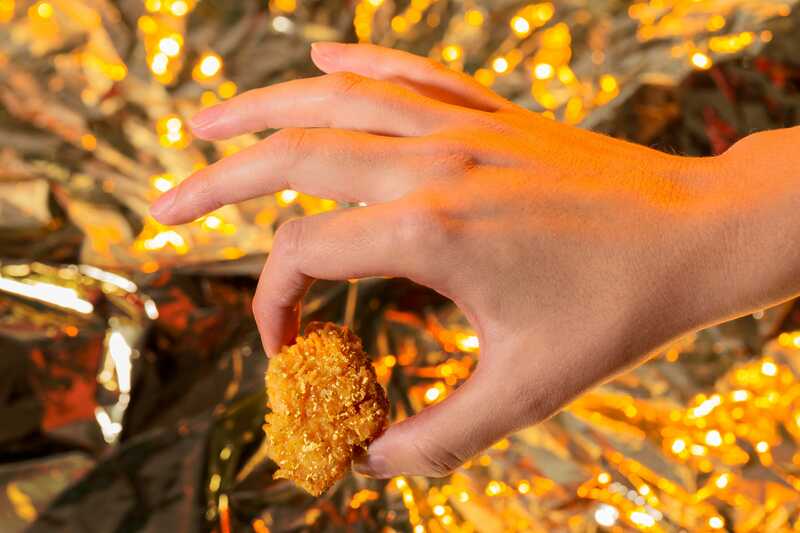 And, perhaps most controversially, $US1,000 golden chicken wings. 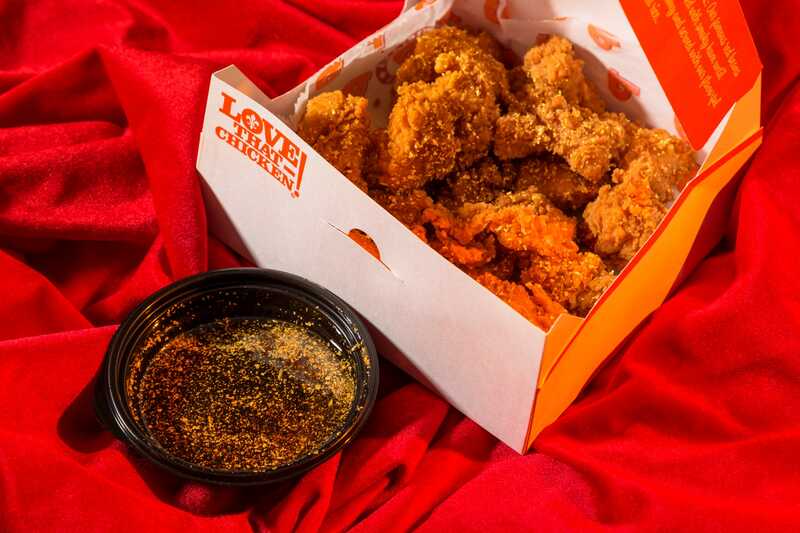 Now, Popeyes is getting in on the trend. On Thursday, the chain debuted wings covered in edible 24-karat gold at a handful of locations across the United States. A six-piece meal, served with a biscuit and a side, will be available for one day only. 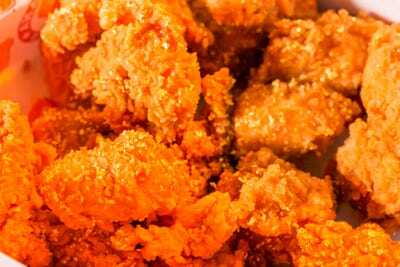 Popeyes is serving the 24-Karat Champagne Wings in just four locations: Elizabeth, New Jersey; New York City; New Orleans; and Anaheim, California. 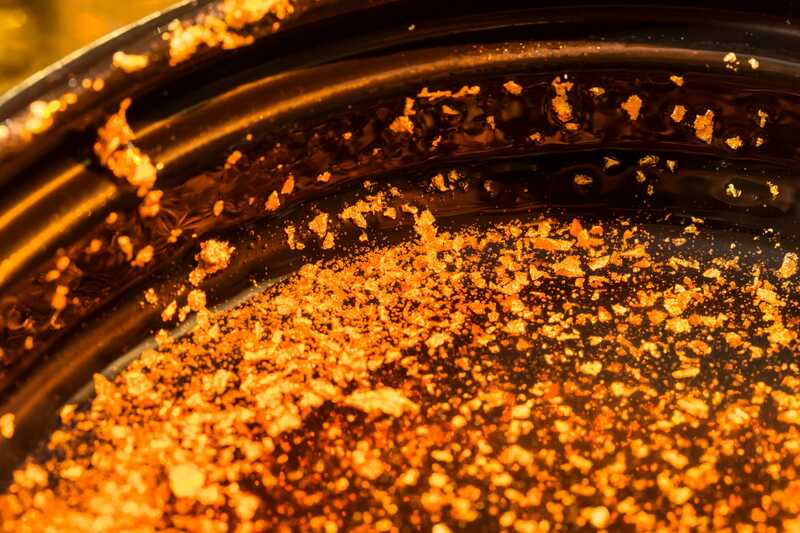 And yes — the $US5 fast-food fried chicken contains real gold. 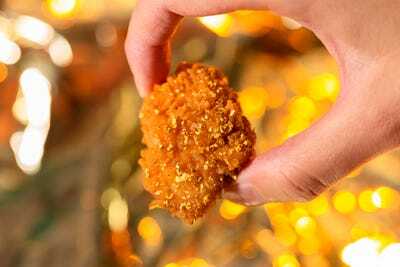 The chicken is made by battering Popeyes classic spicy chicken with champagne, then tossing the wings in edible 24-karat gold flakes. 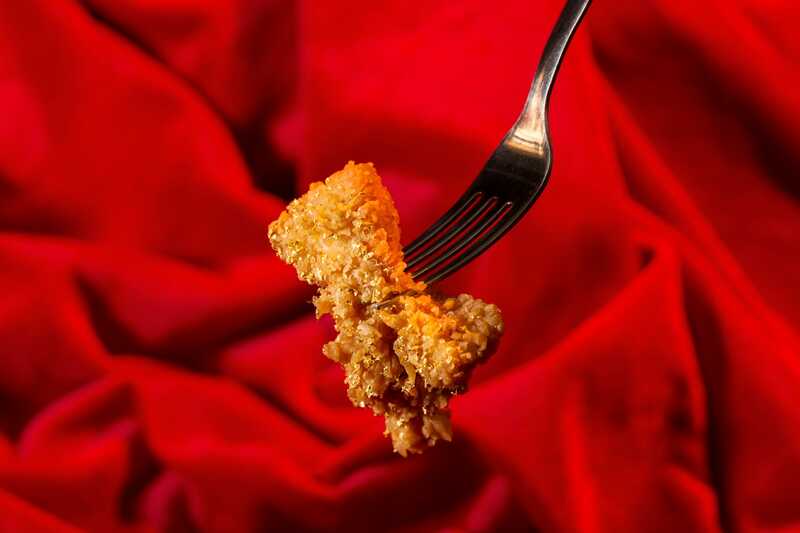 The decadence continues with a honey dip, which also contains golden flakes. 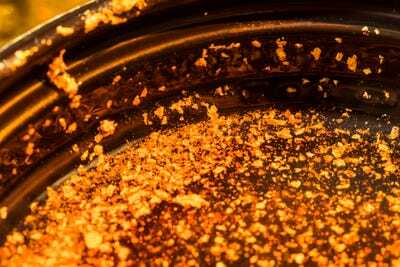 Gold doesn’t actually add any flavour to the food, just a certain sense of luxury. 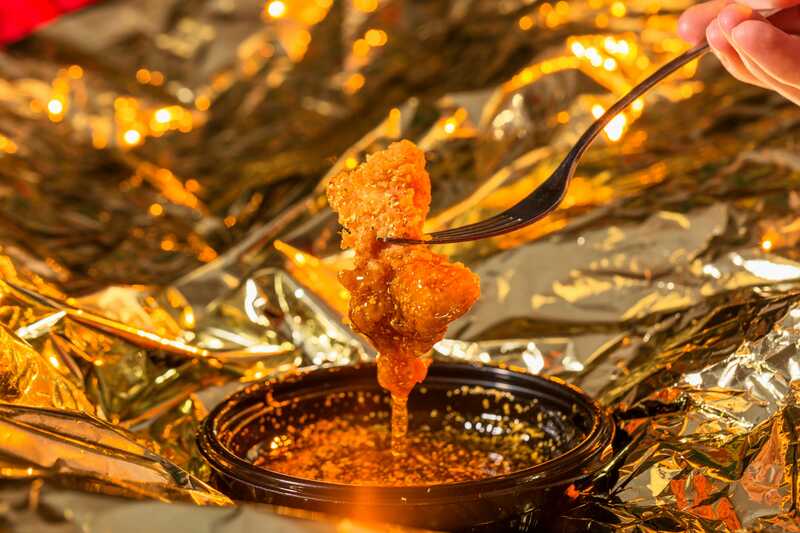 Despite scepticism surrounding the glitz, Business Insider taste testers were fans of the wings. $US5 is the perfect amount to pay for the bizarre experience of consuming gold along with some tasty fried chicken. On the other hand, if Popeyes were charging $US1,000, you’d be better served sticking with the spicy original — and maybe asking for some honey on the side.